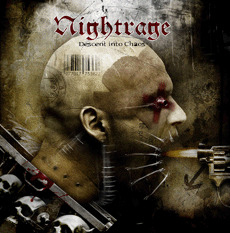 Nightrage is a melo-death metal band originally based in Greece (now located in Gothenburg, Sweden). They are an all-star band, of sorts, bringing together musicians from At the Gates, Dream Evil, and Septic Flesh. 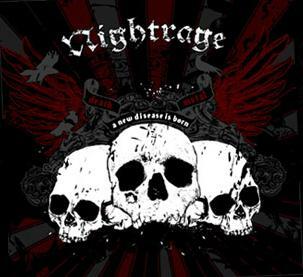 "Nightrage was formed by the Greek guitarist duo of Marios Iliopoulos and Gus G, and after acquiring a trio of European recruits (a Swedish singer, a French bassist, and a Danish drummer), set about recording their debut album, Sweet Vengeance. Death metal is the order of the day here, sounding somewhat Swedish though not quite as melodic as the current crop of Swedish-styled melodic death bands, with the exception of a few passages where some clean vocals (courtesy of Evergrey's Tom Englund) are added to the mix. Vocalist Tomas Lindberg has appeared on several death metal albums over the last few years (At The Gates, Lock Up, and The Crown among others), and he's in typically fine form here (though he has recently left the band). The appearance of Gus G is a bit curious, since his other bands are all firmly rooted in power metal, and Nightrage sounds absolutely nothing like these bands. Yet Gus and his compatriot Marios thrash away, slicing and dicing with plenty of conviction. 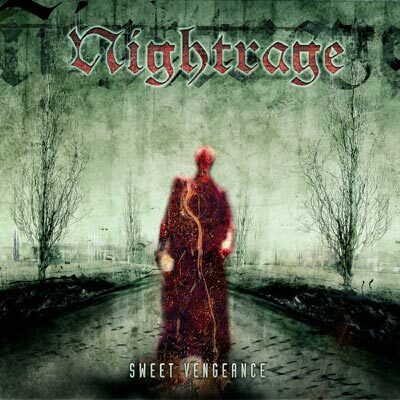 Sweet Vengeance really isn't revolutionary, but it's a very capable modern death metal album. "Though Gus G and Tomas Lindberg both left the band after their second album, a revamped lineup released A New Disease Is Born in 2007." Their first CD, Sweet Vengeance, was released in 2003 on Century Media Records, and its follow up, Descent Into Chaos was released in 2005. Their new album A New Disease Is Born was released March 12/07 in Europe, and April 17/07 in USA and Canada.